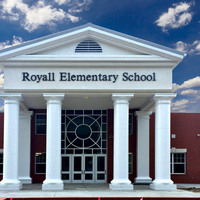 New Royall Elementary School is a brand new 90,000 square foot elementary school in Florence, South Carolina. The interior includes many exciting aesthetical features to enhance the education of youth, including fun patterns in Texas Granite corridor flooring and interesting art hung throughout the hallways. The multipurpose room is utilized as cafeteria and gymnasium and includes a new large kitchen with state of the art equipment. The new facility includes a three classroom wings, making plenty of space for the expanding population of youth in the area as well as a media center, computer lab, music room, and art room. Site work on the grounds included several parking lots, a large playground, and beautiful retention ponds. 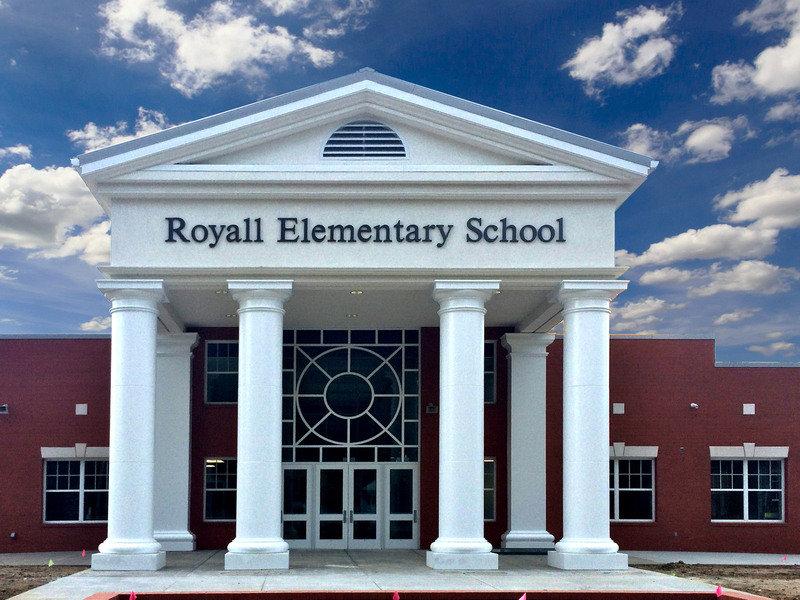 The exterior is load bearing masonry with an impressive storefront and column entrance.